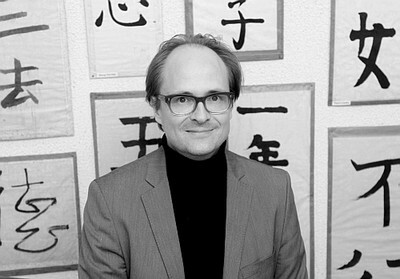 Björn Ahl is Professor and Chair of Chinese Legal Culture at the University of Cologne. Before joining Cologne in 2012, he was Visiting Professor of Chinese Law, Comparative Public Law and International Law in the China EU School of Law at the Chinese University of Political Science and Law in Beijing. Prior to that he held a position as Assistant Professor of Law in the City University of Hong Kong. He has also worked as Associate Director and Lecturer in the Sino German Institute of Legal Studies of Nanjing University and as a Researcher at the Max Planck Institute of Comparative Public Law and International Law in Heidelberg. He received a doctorate in law from the University of Heidelberg in 2008 and passed the second state examination in law in 2001. Prior to that he served as a legal clerk in the Heidelberg District Court, Local Court and Public Prosecutor’s Office, the Administrative Appellate Court of Baden-Württemberg and the Legal Department of the Regional Administrative Council in Karlsruhe. He completed the first state examination with distinction in 1999. Björn Ahl studied law and Chinese language at the Universities of Heidelberg and Nanjing with scholarships of the German National Scholarship Foundation and the Alfried Krupp von Bohlen und Halbach Stiftung. Björn Ahl is President of the European China Law Studies Association; Fellow at the Center for Chinese Law of the University of Hong Kong Faculty of Law; and Board Member of the Sino German Jurists Association.